For those into skiing, it’s been the east of the Alps which have had the bulk of the snow, with the western and southern alps being pretty dry. As the western Alps get their snow from the same Atlantic depressions we get our rain, it is no surprise the UK winter so far has been relatively dry. It has been a winter of meetings and thinking about the challenges we face this season and seasons to come in the world of potato and sugar beet growing. With legislative processes and environmental pressure removing some actives from our toolbox, we have to take a much more holistic approach to crop production going forward to make sure we can still produce the yields and quality required by the market. In December, I attended a meeting in Kent looking at a more holistic approach to managing our soils and the benefits we may reap from such management practices. This coincides with the UK agricultural industry becoming much more aware of soil health and management to grow crops in a more sustainable manner. This approach makes sense to me, especially looking at examples such as the effect of certain mycorrhizal fungi on nematodes, although I’ve not really had time to follow it up and look further into the science and practicality yet. Anecdotally, I am aware of a lot more issues with free living nematodes (FLN), especially Pratylenchus species in light land rotations which rely heavily on non-mycorrhizal brassica crops. 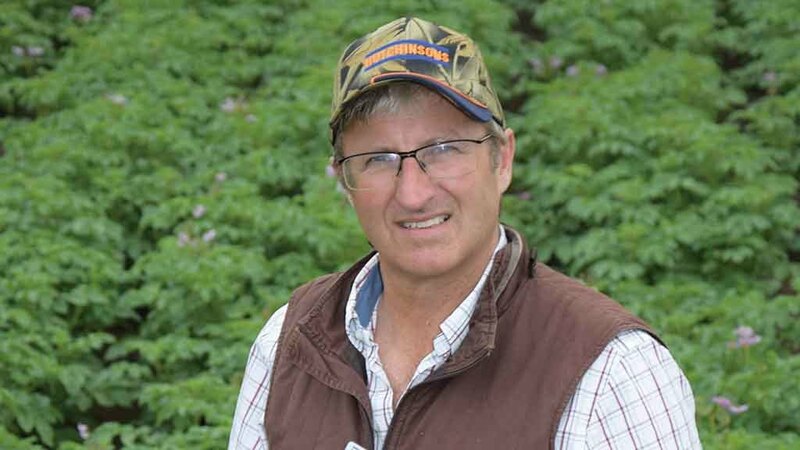 In conversation with some Swedish potato growers a few years ago at SPot Farm East, they also mentioned they had noticed increases in nematodes where high levels of brassica-based cover crops had been grown on their sandy soils. They are now having to think more about species composition if they still want to get the benefit of cover crops. Agriculture has known for a long time about the benefits of manures and soil organisms, but now these are becoming more tangible with the amount of research taking place, including the benefits of carbon capture in the organic matter of soils. With the Healthy Soils programme through Hutchinsons, we are able to monitor and benchmark soil health and look carefully at improvement methods. But this holistic approach is not just about the soil. With the loss of neonic seed dressings, we need to think about sugar beet like we have not had to for nearly 20 years. Not many farmers or agronomists can remember the time before neonics and the effect virus yellows has in a mild winter. When I worked at ADAS as a student, we found only sudden cold temperatures had any real effect on aphid populations as they become tolerant to gradual reductions in temperature if they were feeding and living in crop canopies. We will need to think carefully about beet this spring and ensure we can get them to the 10-12 leaf stage when they become less attractive to Myzus and more able to defend themselves against virus yellows. Planting in good conditions, in good soils and with even seed-depth is especially important. Forward speed and drill set-up can have a significant effect on establishment and ultimately getting good, even crops. Timely fertiliser applications and kind herbicide regimes will also be important. Looking to potatoes, with the loss of diquat for haulm management after 2019, many crops will become increasingly problematic. Its easy to say ‘just buy a flail’, but there are other things to consider including nitrogen applications and also processing and packing crops may need different approaches. Matching indeterminate varieties to more manageable soils, ageing and chitting of seed and maleic hydrazide applications will become part of a holistic approach to getting the haulm under control and allowing the skin-set to be managed effectively, especially for stored crops.